Happy day! Prayer for the day: Lord, Give me the ears and heart to listen before I speak and do. In the Name of Jesus, Amen. 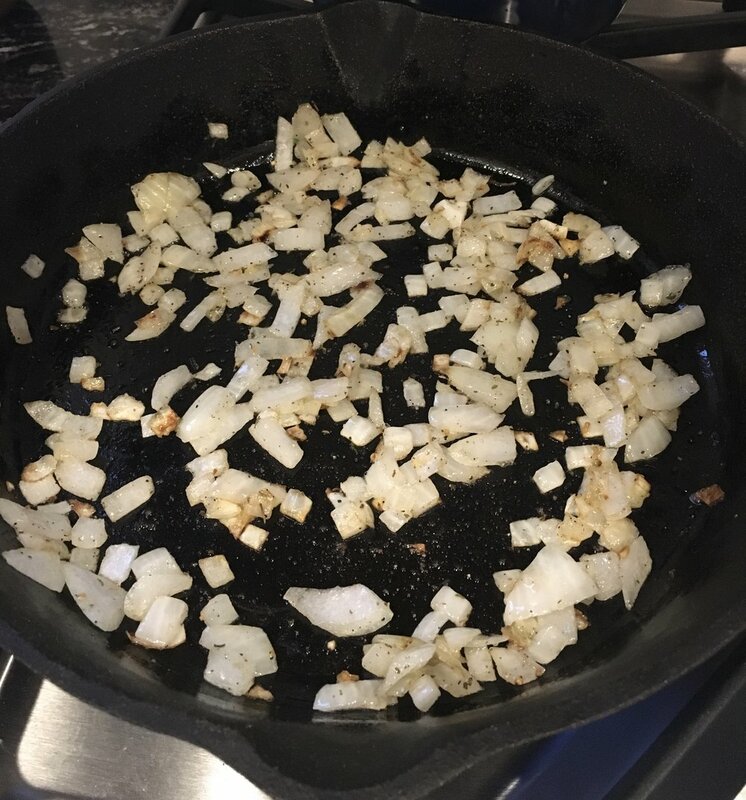 Saute half a yellow onion in 1 Tbsp grass-fed butter or coconut oil until translucent. I like to use my cast iron skillet for frittatas but it's not a must. Add in a handful of chopped kale. Mix with the onion and let hang out until wilted. 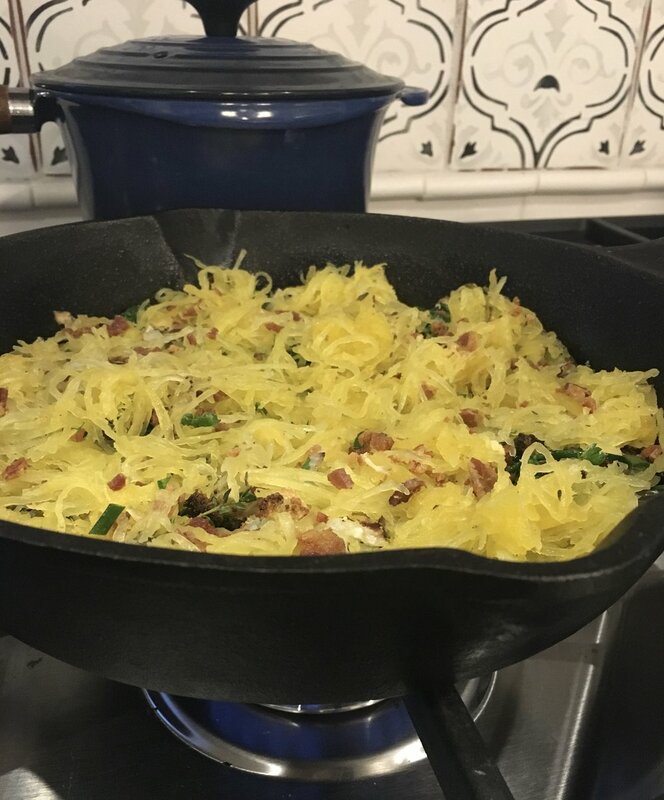 Spread 1-1.5 cups cooked spaghetti squash over the veggie blend. Last ingredient: Beat 4 egg whites or 3 whole eggs (more if your veggie portions were generous) and pour evenly over your final mixture. Place in oven and bake at 375 about 20 minutes or until eggs are set and the top begins to brown. You can tell from the pictures that this version is on the thinner side (I have a thing for crispy tops and bottoms) but if you like a thicker pie, just increase the ingredients. Remove from oven, sprinkle with course sea salt and enjoy for brekkie, brunch, lunch, dinner or anytime in between.